Getting on a helicopter, excited chatter around you, feel the machine rise above the massive and majestic peaks ready to take you on an adventure that’s on every skiers’ bucket list. Heli-skiing, or helicopter skiing, is a popular form of skiing used quite commonly by those who frequently excel in freeride skiing. Instead of taking lifts and gondolas to reach the top, helicopters are used to lift you to the top of steep mountains with plenty of virgin powder. By embarking on a Heli-skiing adventure, you get the opportunity to access to ski on the most remote locations on the planet. The views are better with a limitless thrill and adventure. It was back in Canada, in the early 1960s, the concept of a different skiing holiday emerged. The tour and skiing guide Hans Gmoser started a business called the Canadian Mountain Holidays. The way Gmoser differentiated himself from the competitors, was by using a helicopter to take skiers who wanted more thrill to the top of the mountains. Business thrived, and from there on the rest was history. The Heli-skiing and snowboarding services variate from one resort to another. In the US, most tour operator’s offers a day pass, a pass single or double run pass. Some companies in the US charge the skiers according to the time spent in the air and skiing passes.Canadian tour operators are more keen to offer longer duration and offer multiple day tours with lodging facilities included in the packages. The cost of heli-skiing depends on the resort and the package chosen for the trip. A single day package in the US cost anything from $600 for a day pass, to $10,000 for multiple day trips. The tour costs in Canada are the somewhat similar but a single day pass is usually not available in Canada. Alaska in US and British Columbia in Canada has some of the most challenging off-piste slopes perfect for heli-skiing. Canada is home to some of the best heli-skiing spots, and one of the most popular resort is the Whistler. 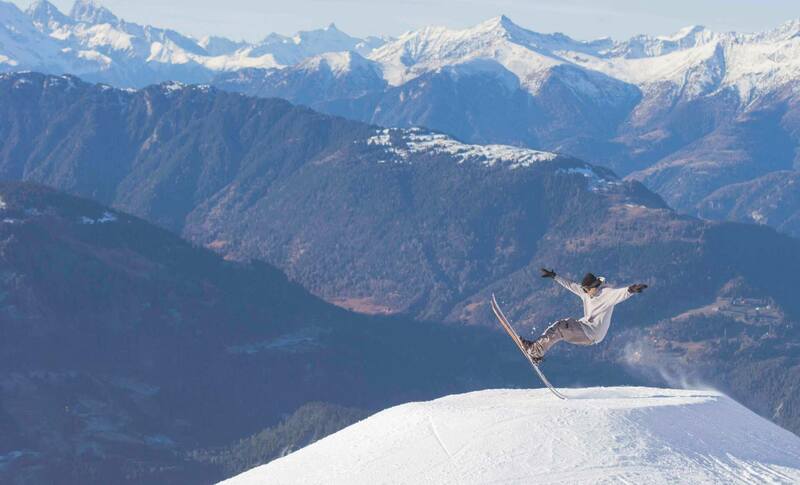 The resort is known by skiers and snowboarders worldwide, because of its extensive wide-open slopes and low angle terrain at an altitude of 14,000 vertical feet. Outside the slopes, there is plenty of powder and accompanied y its breathtaking views, some of the best heli-skiing is without a doubt found on the steep hills surrounding Whistler ski resort. The Chugach Mountains receives an annual average of 17 meters of snow. As the mountain is located in proximity to the coastline, the snow is moist and stable on the steep slopes of the Chugach Mountains. The tours in the Chugach Mountains are ideal for small groups of about four people. Due to the remoteness of the Chugach Mountains, the trips usually involve getting on a boat with a helicopter before the actual ascend onto the mountains on the helicopter. Once on top of the Chugach Mountain skiers will have an opportunity to experience untouched pistes with a drop from between 1000 to 1500 vertical metres (3000-5000 vertical feet). Colorado has some of the best ski resorts and it doesn’t disappoint when it comes to some of the best heli-skiing destinations. The Telluride in Colorado is a one of a kind ski resort but is also ideal for taking a heli-skiing trip. The Telluride ski resort has over 200 square miles of picture-perfect and untouched powder bowls for ultimate thigh-burning and leg-jelly skiing. The resort has some of the highest skiable terrains in entire North America. Experienced guides and tour operators will ensure your safety at every step of the way. Bella Coola is a paradise for Heli-ski lovers. The resort is perfect to get away from the crowded slopes and head to experience some of the most beautiful pure deep powder. The Bella Coola has a perfect terrain that outlines its location right at the transition zone between a wetter Pacific climate with a dry British Columbia weather. The proximity to the coast is the reason why Bella Coola gets massive amounts of snow. The best part of taking a trip to Bella Coola as compared to other heli-skiing locations is that the tour operators use small but powerful helicopters that can land in tight spots allowing skiers to get more terrain. The packages available can last from 3 to 7 days, in peak season the tours could allow the seven days package only.